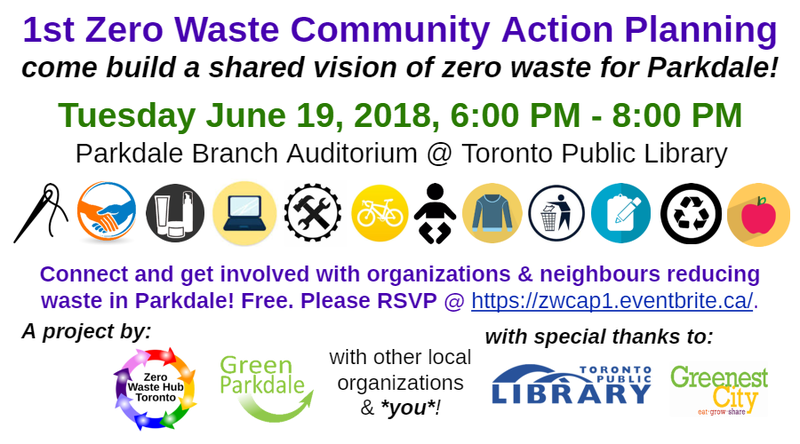 The 1st Zero Waste Community Action Planning session will help build a shared vision of zero waste for Parkdale. Food: gleaning, growing, planning, prep, compost & MORE! 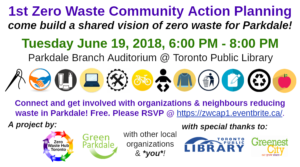 Connect and get involved with neighbours and organizations in reducing waste in Parkdale. To register click HERE or call 647-438-0038 (Greenest City).